TheMLSonline.com is a professional real estate organization whose purpose is to guide individuals and families through the often complex processes of buying or selling a home. We do this successfully by combining a long history and vast knowledge in the real estate industry, with the best online marketing and tools. TheMLSonline.com is a pioneer in bringing homes listed for sale on local MLSs - directly to the public! Since 2001, we’ve laid a strong foundation representing thousands of Minnesota buyers and sellers ­– while developing one of the most recognized brands in today’s online marketplace. TheMLSonline.com has led the way, being at the very forefront of the real estate industry’s evolution from outdated newspaper ads and MLS books to the very latest in online marketing, technology, and tools. 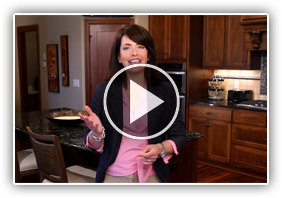 Today, we’ve become Minnesota’s second-most visited real estate website with over 28 million property views every year, making us a prime resource for reaching today’s active online home buyers. Focus: Our focus is always on the best possible outcome for all. Understanding: We seek people with humility and a desire to learn. Respect: We respect everyone at all times, without exception. Commitment: We work to bring the best of ourselves to each other, our communities and our families. Contribution: We don’t hesitate to give back to others because we know others have invested in us. Discipline: We choose to spend our time in productive activities and dialogues that improve ourselves and the experiences of everyone we encounter. What type of person shows the mark of a true, professional Realtor? We believe it’s someone who possesses the knowledge, experience and dedication needed to bring a home sale transaction to a successful close. It’s someone who’s willing to watch out for their client’s interests above their very own. We also believe that it’s someone who will be there when the going gets tough. However, at TheMLSonline.com, we’re looking beyond the sale. We’re working with the goal of earning valued clients for life. When you use a Realtor with TheMLSonline.com, you’ll have a dedicated expert working side by side with you toward the common goal of getting your home sold quickly – and for the right price. Since our agents live in the same communities where they work, they are already specialists in your neighborhood and skilled at connecting buyers and sellers in your area. As your sale progresses, our associates are committed to keeping you informed through regular, detailed communication. Using both conventional methods and the latest technology, our Realtors provide daily updates on important information such as buyer feedback, online viewer activity, and the best strategies for each phase of the transaction. Lastly, when we find the right buyer for your home, our Realtor team members will take the time to carefully explain all contracts and paperwork to bring your sale to a successful close. The MLSonline.com is an Equal Opportunity Employer. 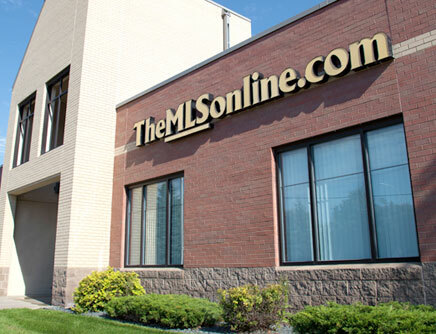 helpdesk@themlsonline.com or by U.S. mail at: 11150 Commerce Dr, Champlin, MN 55316. Please provide a brief summary of your company with your company web address as well as a detailed description of your product or service. If you are interested in advertising your product or service on TheMLSonline.com, please contact us in writing by emailing us at: helpdesk@themlsonline.com or by U.S. mail at: 11150 Commerce Dr, Champlin, MN 55316. We've received your message. Someone will contact you soon. Thanks.